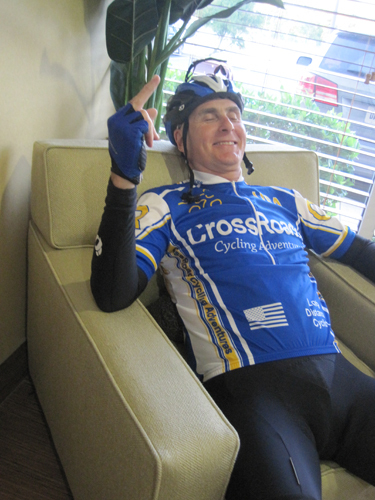 You would think that a 120 miler a day after a 109 mile ride would be a challenge. We had favorable winds, cool temps, and competitive attitudes. Jim and the bicycling Schmendricks set off pulling a large group of riders. Some passed us so we set off to catch them and catch them we did. The second SAG was at the 78 mile mark and Jack and I went off the front. 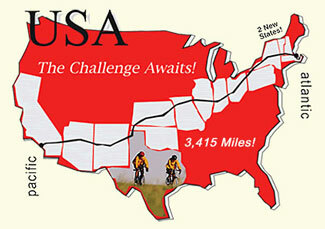 We went through the 100 mile at less than 5 hours, impressive given the towns and street fair we rode through. Charleston is a big city with lots to do. Roddy is here and we are trying to visit the historic district tonight. I am quite pleased with what I can eat. Last night all but Jim, Jack, Peter and I went to some fancy restaurant. 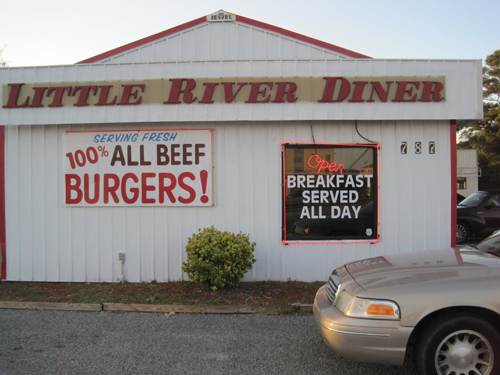 We went to a diner. We had the haddock dinner. Then Jack ordered pancakes and I ordered a tuna melt. Then we ordered dessert. And I am losing weight. How great is that? We are in the south. Last night I called the front desk. "What can I do for you honey"? "I'd like to leave a wakeup call for 6am". "Well darling I'll do that". "Is there anything else honey"? 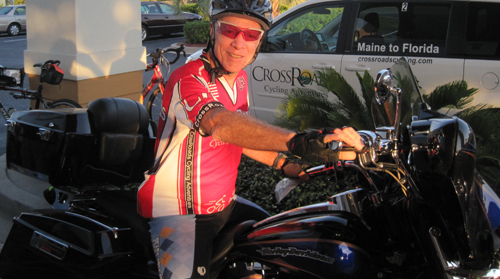 Peter, all fired up for the 120 mile ride. I traded my bike for this Harley. 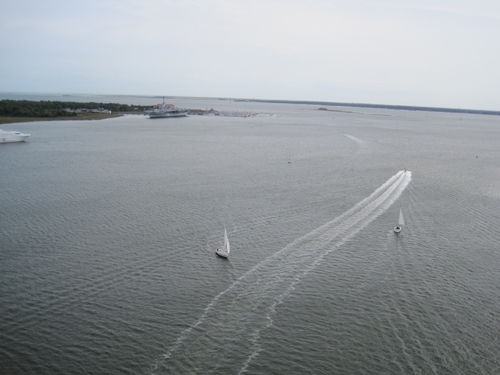 View of the harbor from the Charleston bridge. Dad, glad that you are eating like a pig and still losing weight. That is why you went on this trip, right? Dad - Not sure the Harley is quite the right look for you! Glad you are enjoying yourself. Love you!